This unit doesn’t get placed on the map during deployment. At the end of any of your movement phases, you may deploy this unit on the map in any hex that isn’t adjacent to an enemy unit. It can’t move that phase. 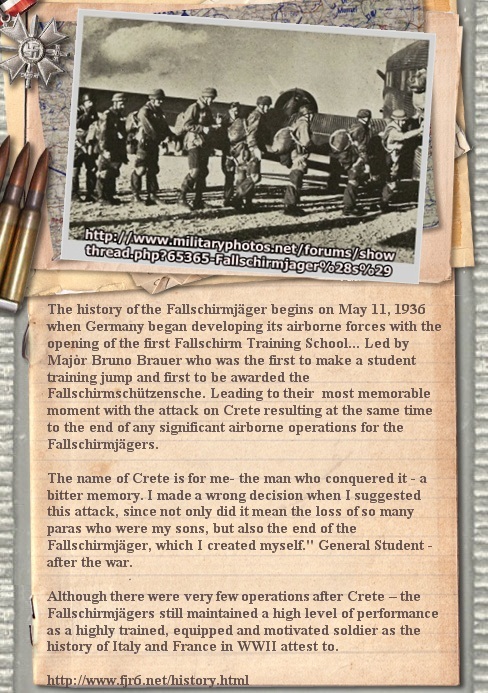 Q: Isn't the Veteran Fallschirmjäger from the number 7 /1940-43 booster set a Paratrooper? Q: Does the "Screaming Eagle" Captain's initiative bonus apply before he is deployed on the map? Q: Can I over-stack a Paratrooper into a hex that already contains three of my units? A: Yes. Paratroopers can be over-stacked (by 1, as per the stacking rules) when they are placed. But if you do place a paratrooper into an over-stacked condition, there's no chance to get that hex back into compliance before the over-stack penalty takes effect. Q: If the Screaming Eagle Captain never uses the paratrooper ability and hence is still "off map" at the end of turn 10, does it count as alive or dead for victory conditions at that point? A: Dead. If you want your paratroopers to count as "on the map" for a points-based victory, the pieces need to be physically on the map when the game ends. Under normal conditions, this shouldn't be any difficulty. If for some reason you haven't deployed a paratrooper until turn 10, you can just place it in a quiet corner of the map during your turn 10 Movement phase to claim its VP value. 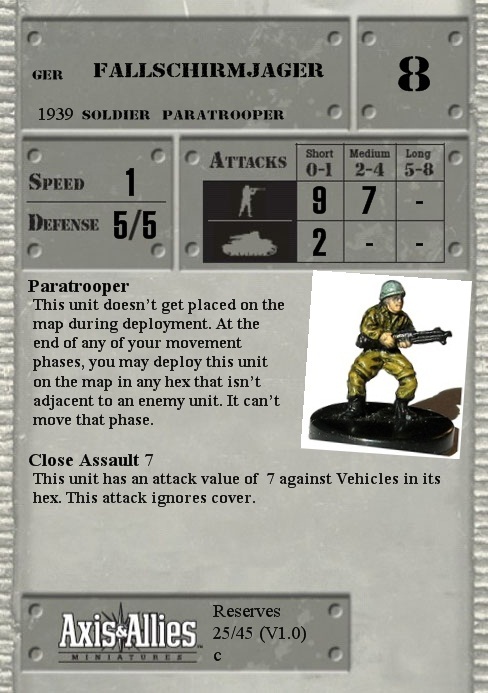 In a timed tournament game, however, this will put a little more pressure on players to get their paratroopers into the mix in a timely fashion.